Pigmentation on the skin causes uneven skin tone. If you have been seeing a difference in the skin tone or patches, then you may be suffering from pigmentation. Pigmentation is available in two types, which are hypo-pigmentation and hyper-pigmentation. The first type is a decrease in the skin pigmentation, in which skin patches become whiter or lighter in color than other normal skin areas. Hyper-pigmentation on the other hand is featured with a darkening of a skin area resulted from the overproduction of melanin or pigment. This condition is known as a harmless condition. Despite pigmentation is not a serious medical condition, it makes you look old. Skin pigmentation can happen to anyone no matter how old they are and what their gender is. Basically, pigmentation is caused because of sun exposure, genetics, stress, menopause, hormonal changes due to birth control pills or during pregnancy, insulin resistance, aggressive skin care routine, skin damage due to injury, over use of hair dyes, or tattoo. Among causes of skin pigmentation, the most common may be over exposure to the heat and sun. There are a few treatments for pigmentation available, such as OTC creams, laser treatment, chemical peels, etc. They often give fast results as well as recovery. However, if your pigmentation is severe, you should consult a dermatologist. However, for those who have a mild case of pigmentation or do not want to use expensive, harsh chemical packed products, there are some still home remedies for pigmentation which are rather effective and just resort natural ingredients which are easy to find in our kitchen. 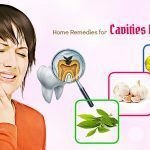 The following list made by TrueRemedies.com will help you figure out how to get rid of skin pigmentation at home by applying natural home remedies for pigmentation on face and neck. 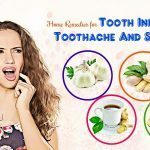 All of these remedies using simple ingredients which are safe and easy-to-find in our kitchen. Have a look! Take a raw potato to cut into thick slices. Take a medium-sized potato, grate and squeeze its juice. 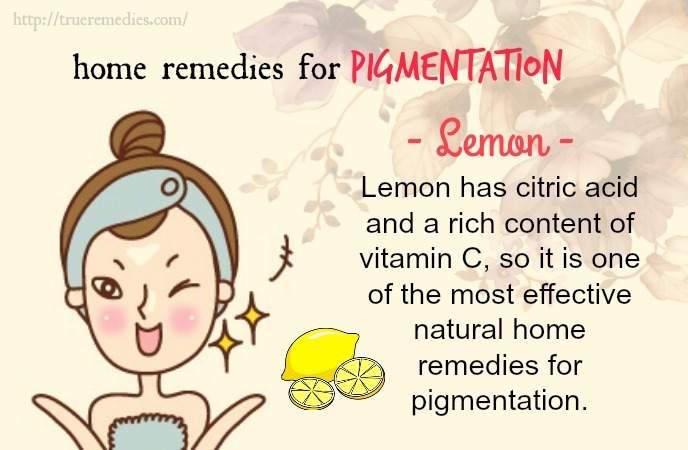 Lemon has citric acid and a rich content of vitamin C, so it is one of the most effective natural home remedies for pigmentation. Vitamin C is a powerful antioxidant which can protect the human skin from the damage of UV rays and lighten dark skin. The natural bleaching agent of lemon could fade dark blemishes on your skin. Actually, people often use lemon to remove age spots and promote a clear, soft skin. Extract the juice of half of a lemon and rub it over your pigmented skin areas using a cotton ball. After 10 minutes, rinse it off with plain water. 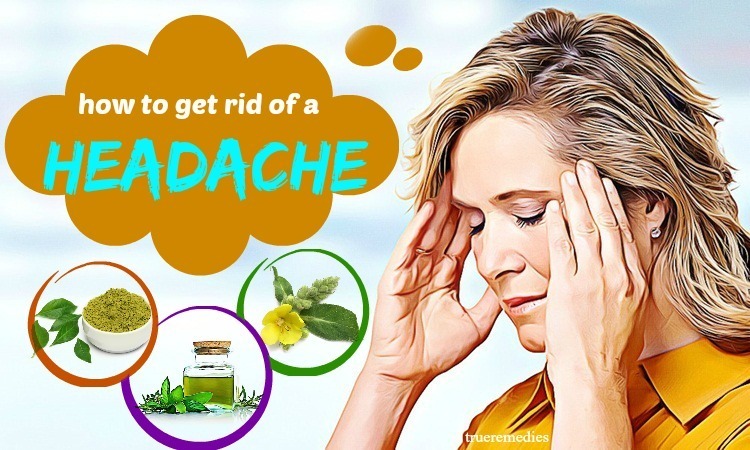 Apply this method twice per day for several months till you see good results. Make a homemade facial mask by mixing lemon juice and raw honey with the ratio of 1:1. Do this method once per week for several months. Warning: People with sensitive skin should avoid using pure lemon juice. Instead, dilute the juice of lemon with some water prior to using it. Mix water and apple cider vinegar together with the ratio of 1:1. If there is a papaya tree in your garden, then you are having one of the most useful home remedies for pigmentation. Look no further because this fruit can help bleaching your skin tone naturally. Papain, an enzyme in papaya, is a great ingredient for skin exfoliation. If you do a raw papaya treatment, then it will remove pigmented marks on your skin in no time. Do this method for 1 month till you seen an improvement in your skin. It is proven that dryness of the skin is also a cause of pigmentation. That is why removing dry skin cells is very essential for getting rid of pigmentation. 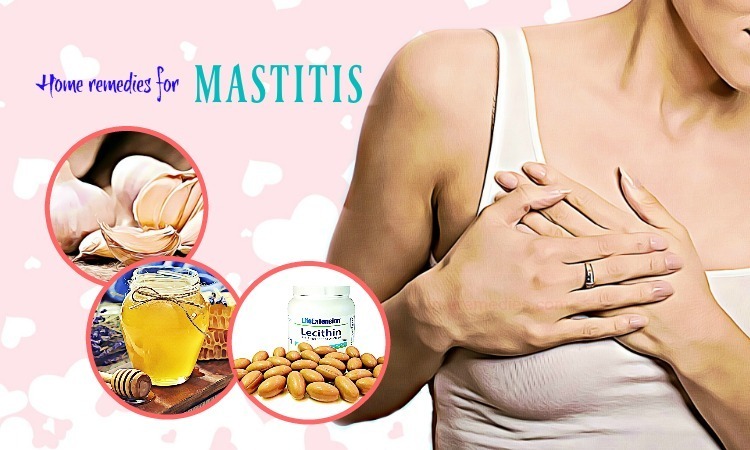 Having natural fatty acids as well as nutrients, almond can moisturize your skin and nourish it naturally, thereby eliminating any traces of pigmented skin. The natural moisturizing oil in fresh milk, on the other hand, can effective defeat dry skin. Also, milk has lightening properties. Vitamin E, also known as skin vitamin, is a great treatment for skin pigmentation. This vitamin is an antioxidant which aids in neutralizing harmful UV rays and repairs as well as protects the human skin. Wash it off with lukewarm water in the next morning and reapply this method for 2-3 weeks. Make a homemade mask by mixing ½ cup of Fuller’s earth with 1 tablespoon of papaya which is blended. Rinse it off with tepid water. Do this once per week. Massage the oil of vitamin E onto your skin for about 10 minutes. Turmeric is widely used in India as a spice and home treatment for different diseases, including pigmentation. It is because turmeric has bleaching properties, helping remove the symptoms of pigmented skin. 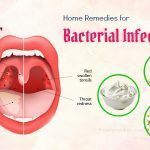 Moreover, turmeric can prevent your skin from infections. However, you should avoid going out under the sun for a few hours after using this treatment. Aloe vera is a famous ingredient in a lot of skincare products. Especially, when it comes to home remedies for pigmentation, aloe vera works excellently on pigmented skin because of the presence of mucilaginous polysaccharides in its gel. It could also eliminate dead skin cells and enhance the development of new skin cells. Repeat this method for at least 2 weeks to get your desired results. 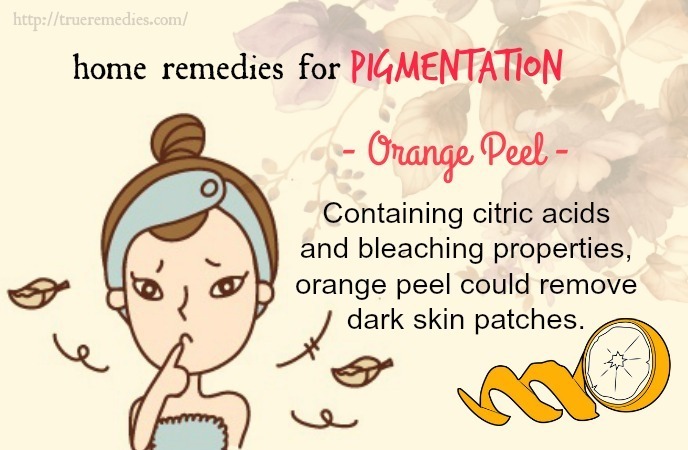 Among home remedies for pigmentation, the orange peel is very easy-to-find. Containing citric acids and bleaching properties, orange peel could remove dark skin patches. Repeat this routine for at least 3-4 times per week to boost cell renewal and decrease dark patches of the skin. Enriched with vitamin C, fatty acids, and oleic acid, avocados could help decrease the presence of pigmentation. Moreover, the large content of vitamin E and various enzymes in this fruit could also alleviate this problem. Reapply this method twice per day for 1-2 months to see differences in your skin tone. Note: Some people might be allergic to the latex enzymes available in avocados. Hence, you should do a patch test before trying this remedy. Castor oil is among the best home remedies for pigmentation and age spots thanks to its healing properties. You can use castor oil to alleviate the appearance of pigmentation and tone your skin. Do this twice per day to fade dark pigmented skin as well as tone your skin. 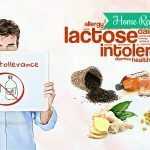 Buttermilk, among amazing home remedies for pigmentation, can exfoliate your skin while removing brown spots as well as blemishes because it has a high level of lactic acid. You can also mix buttermilk with tomato juice or lemon juice to get better and quicker results. Repeat this routine every day to lessen the discoloration. Using red onion is one of great home remedies for pigmentation due to its rich source of vitamin C, which is an antioxidant that could be used for curing pigmentation. Tomato possesses natural bleaching properties so using it can rejuvenate your skin. At the same time, yogurt with lactic acid content can tighten your skin and decrease blemishes. Oatmeal has scrubbing effects. Thus, the combination of these three ingredients can give you an excellent remedy for pigmentation. In another bowl, you mix oatmeal and yogurt together with the ratio of 2:1/2. Do this daily till you get desired results in the shortest amount of time. Repeat this routine twice per week to notice great results in about 3 weeks. As mentioned earlier in this list of home remedies for pigmentation, orange is a rich source of vitamin C which is very essential for skin exfoliating and nourishing. Also, it possesses the properties of a natural astringent specializing in eliminating dead skin cells. It can also brighten your skin as it works as a safe concealer against dark spots and blemishes. Besides, strawberries can be used to treat pigmentation caused by skin allergies. They give mint coolness to your skin, thereby restoring the normal pH level of the skin and removing uneven skin patches. When ingested, both strawberries and orange juice has equal benefits when ingested. 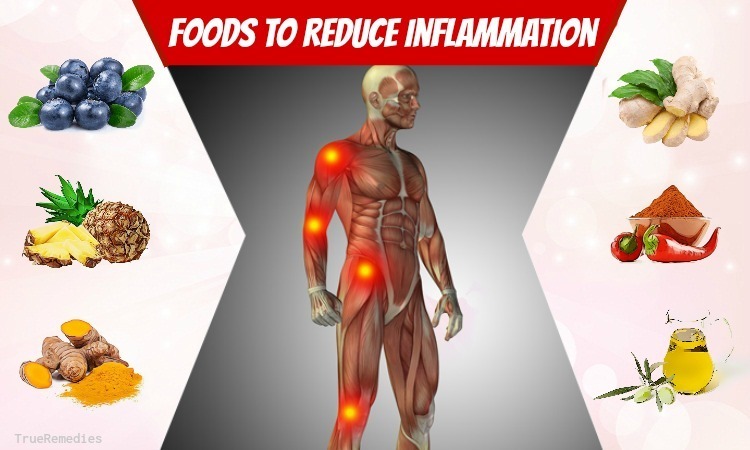 They can dissolve the toxins in our system and decrease the acidic level of your stomach. Because they have water, vitamins and mineral, they are also good for skin when either applied topically or consumed as juices. Pay attention to your diet: Actually, diet plays a major role in the skin health. Make sure that you add a lot of green leafy veggies to your diet, such as coriander, spinach, asparagus, and curry leaves. Other veggie sources of vitamin A are also great for your skin. Besides, drink lots of water and consume fruits more to keep your skin hydrated and flush toxins out of your system. Maintain good personal hygiene: apart from the mentioned above home remedies for pigmentation, maintaining a good personal hygiene is also crucial in the process of treating pigmentation. Make sure that you take a bath twice per day and wipe your own body dry by using a soft and clean towel. 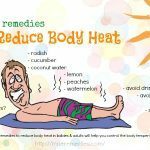 But, avoid taking bath with extremely hot water. Choose cold water instead. Have a proper skincare routine. Cleanse, tone, moisturize and exfoliate your skin to maintain healthy and young skin. 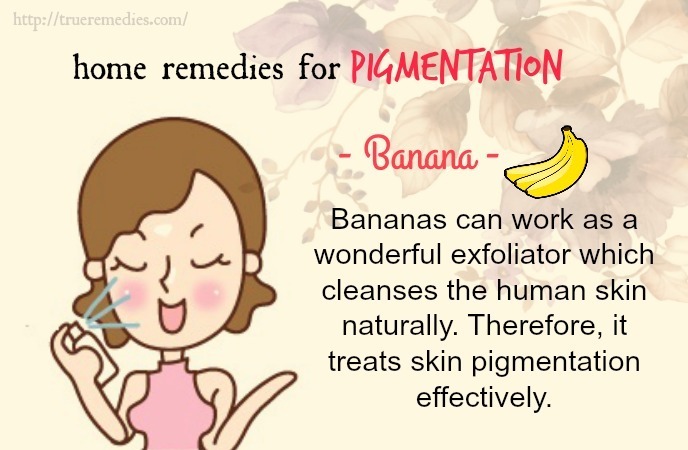 To sum up, you had better choose such home remedies for pigmentation which are not too harsh on the skin. It is smart to get a full medical checkup implemented prior to choosing a home treatment. 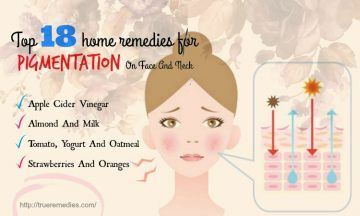 This is because pigmentation caused due to medication could not be cured by simple home remedies. 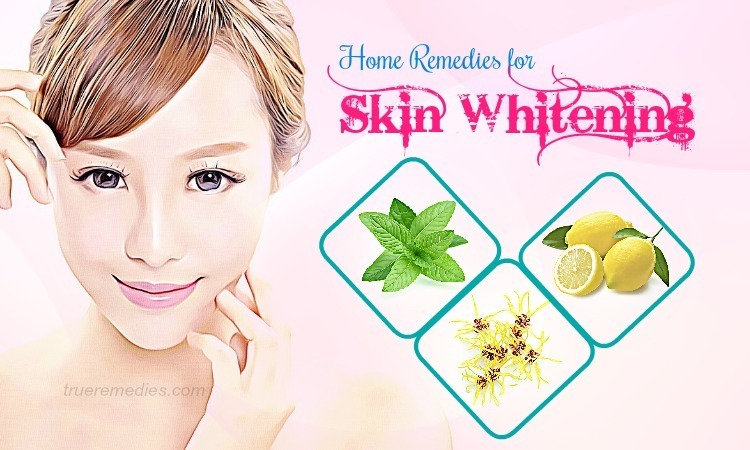 Besides, sometimes people do not pay attention to their skin kind but still use home remedies for pigmentation, but it is not a good option. 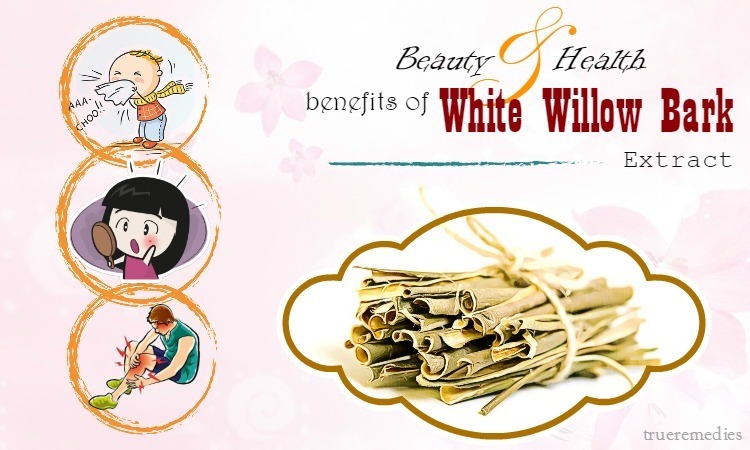 You should use the remedy which is suitable for your skin type. For instance, the mixture between almond and milk is only good for those with dry or normal oily skin, not oily skin because they add oil to the skin. 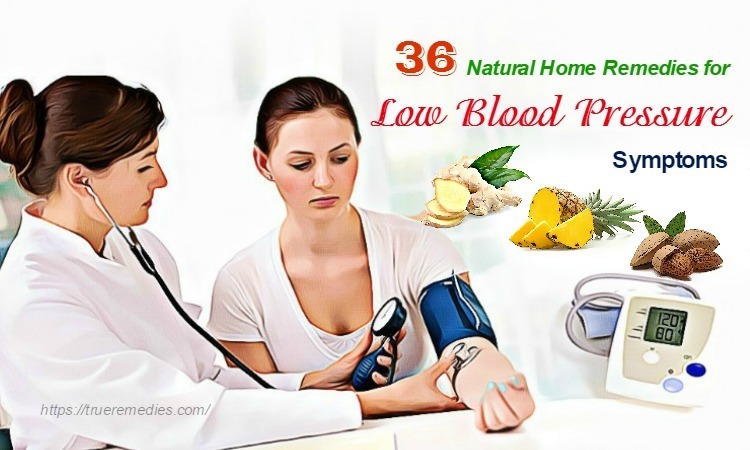 Therefore, a specific home remedy should be chosen by keeping all important factors in mind. This article of Top 18 Home Remedies for Pigmentation hopefully has helped you figure out how to remove skin pigmentation naturally at home. Choose the best home remedies for pigmentation that are suitable for your own case and see how different your skin will be. Then, share your experiences with us by leaving your comments in the box below. We appreciate your contribution and will respond as soon as possible.